Photo3 shows a system in use at SPring-8 in Hyogo prefecture. 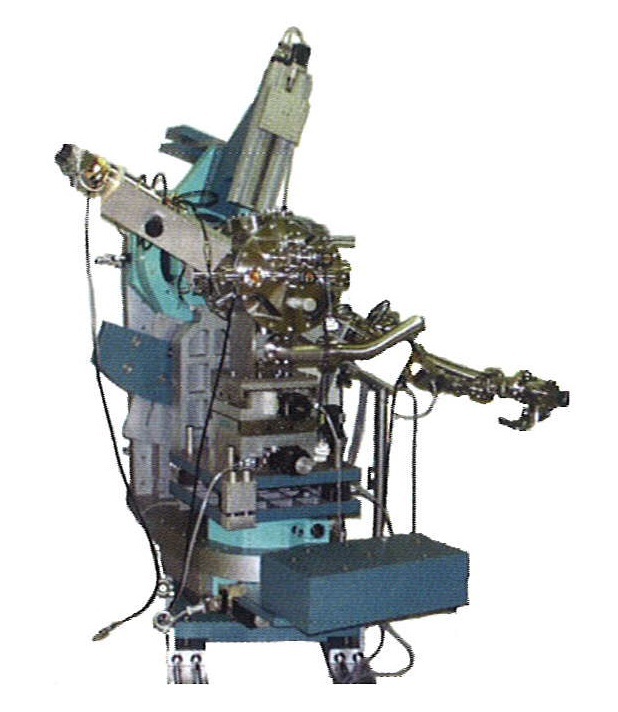 This system heats a sample being irradiated with X-rays in a high vacuum to an ultra-high temperature, and can move the sample around the X-, Y-, and Z-axes. It can also analyze the crystalline structure of the sample while raising, lowering, or maintaining its temperature. In this system, infrared rays are directed at both the top and bottom surfaces of the sample to raise its temperature, and do not interfere with the passage of the incident X-rays being directed at the sample or diffracted rays.